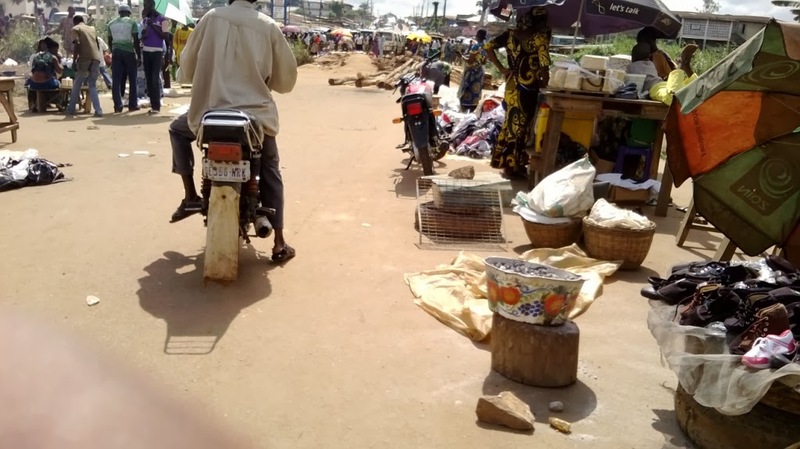 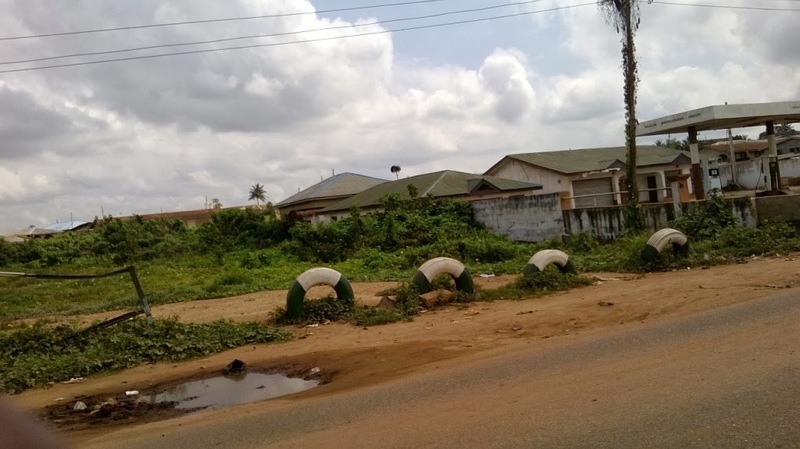 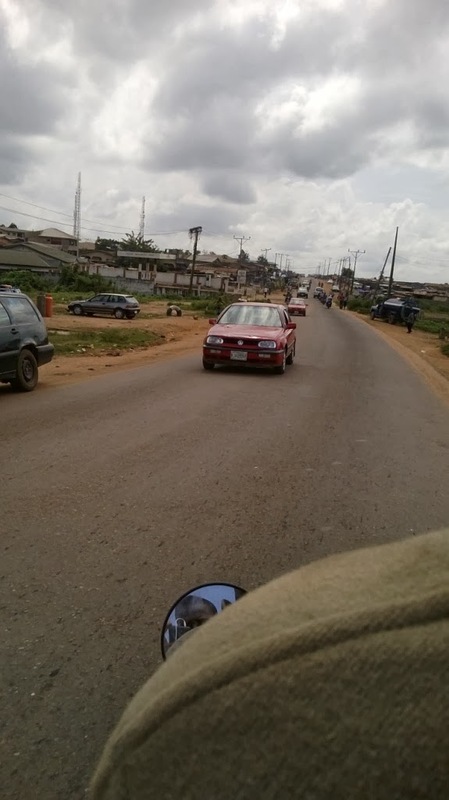 The road that leads to Amuloko area from Olorunsogo is probably one of the busiest in Ibadan as it is plied daily by several hundreds of thousands of Ibadan residents who live in various areas along the road which also leads to some parts of Ogun state. 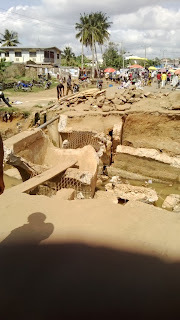 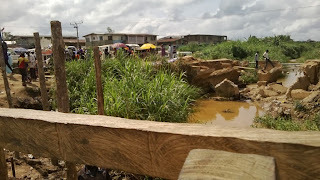 Few weeks ago however, residents staying beyond the bridge at Ariyo area were cut off when the bridge collapsed. It wasn’t an outright collapse as the bridge showed early signs of weakness but the signs were ignored leading to the eventual collapse. 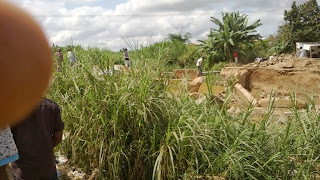 When the bridge finally collapsed, members of the press besieged the area and had a field day at the spot. 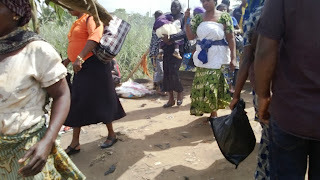 They joined members of the community in enjoining the government at all levels to come to the aid of the area. 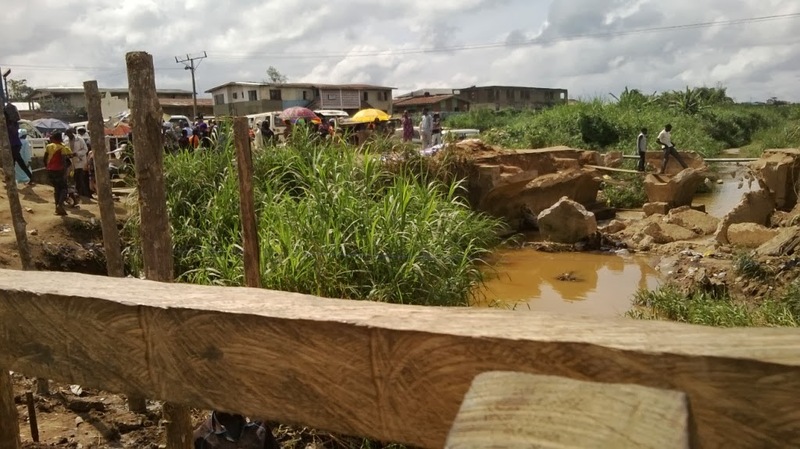 The governor visited the area less than 24 hours after the bridge collapsed but more than ten days later, residents of the area said there is no clear cut picture of what the bridge’s restoration plan would be and had decided to create a vibrant business center at the bridge. 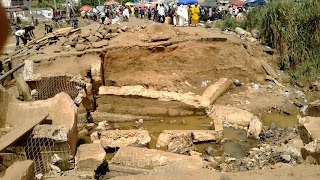 When IBPulse.com visited the collapsed bridge last Thursday, the site was a beehive of business activities – artisans, market women, transport workers and other cadres of skilled, semi-skilled and unskilled workers and entrepreneurs have shifted their bases from their former roadside spots to the center of the once busy road. To go from Olorunsogo to Amuloko, you would need to break the journey into two – from Olorunsogo to Ariyo Border, and from Ariyo Border to Amuloko. 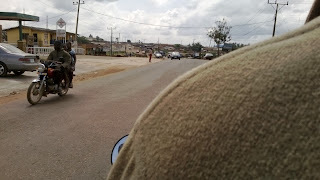 This has resulted in a hike in the cost of transportation. For those who still desire an uninterrupted journey, the only direct option is a labyrinthine sojourn through the hinterlands and deeper cores of the various communities. “You will have to go through Jegede area,” a commercial motorcyclist told IBPulse.com. 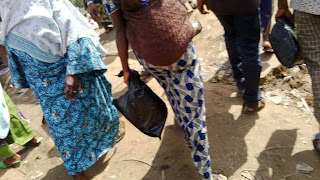 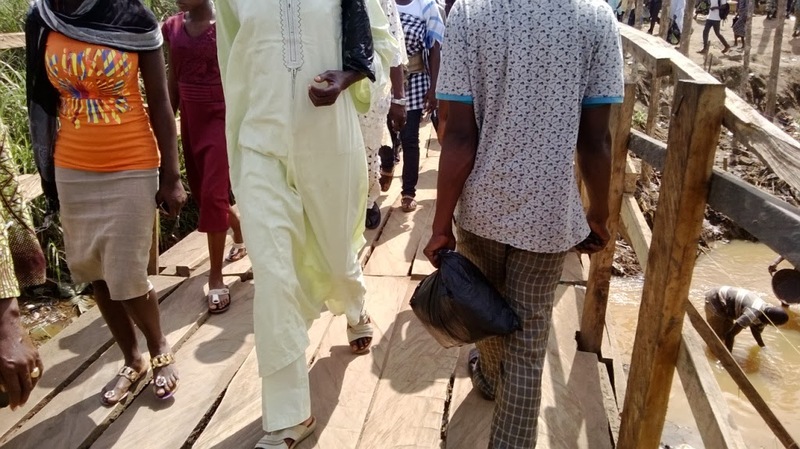 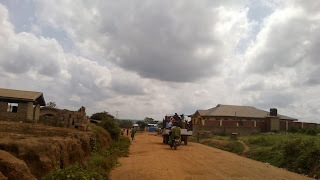 The route is however long and the road is in a poor state thus many individuals prefer to get to the bridge, walk on the makeshift passage that was set up by Ona-Ara Local Government, and board another taxi or ride another bike from the other end. 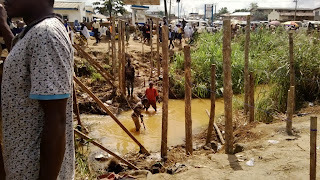 This is similar to what happens at the Seme Border that links Nigeria and Benin Republic. At the Ariyo makeshift border, the atmosphere is no longer that of a community that is angry with the government for abandoning it; it is that of an optimistic society that is alert to new business opportunities. 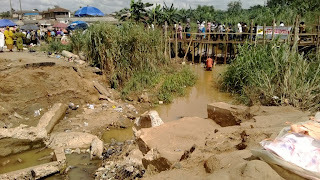 The sets of people that are grumbling are those that are not making money from the bridge mishap and those that have been compelled to abandon their vehicles on either sides. 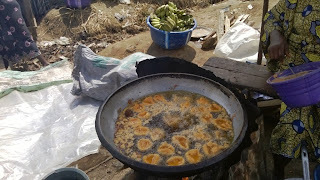 There is a local DJ playing loud music in the middle of the road and a middle-aged woman is frying bean cakes (akara) at relatively cheap price. The smile on her face suggests that business is going great. 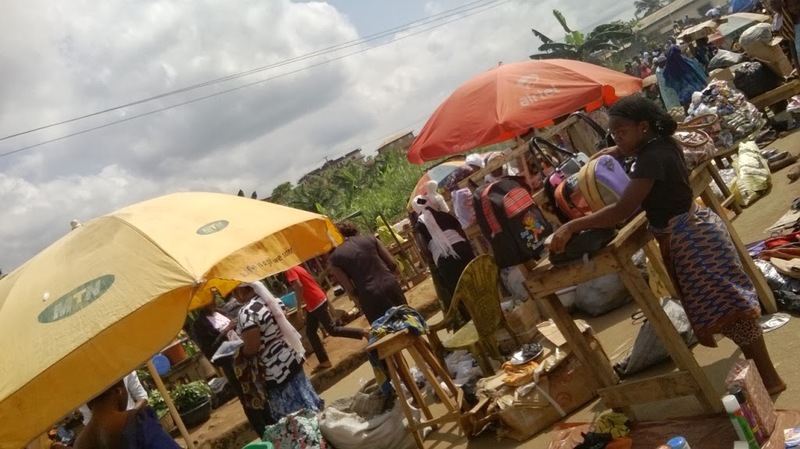 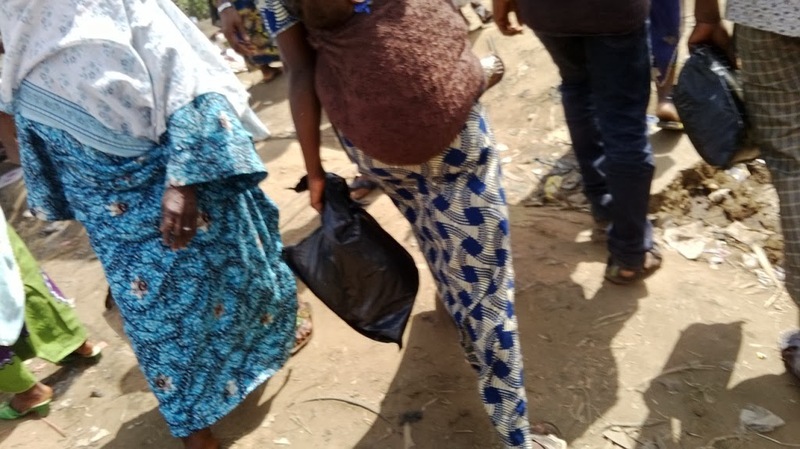 Another woman is selling clothes for children that are not more than 10 years old while a bus is adorned with Nollywood posters and other paraphernalia. 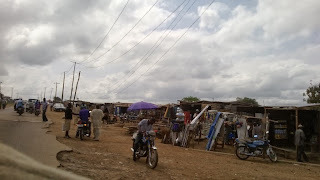 It is stocked with latest Yoruba movies and residents are called out to make affordable purchases. 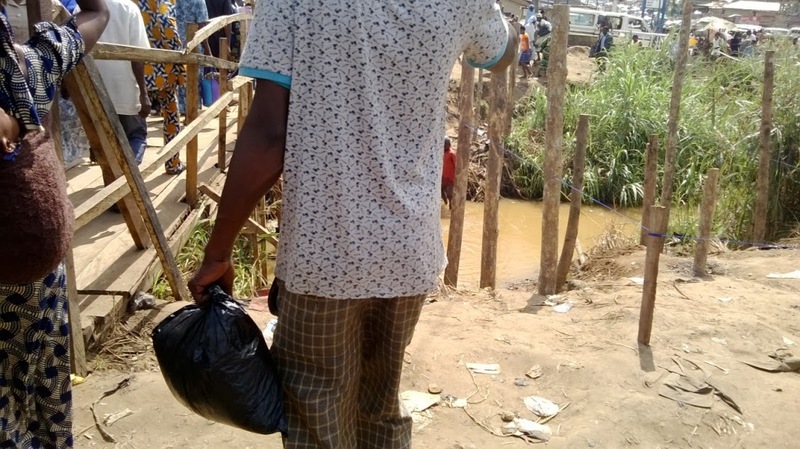 Some agile male residents were also seen attempting to jump from one point to the other in what passersby described as suicidal but the young men were enjoying the risks. The local government is setting up another makeshift bridge in order to ease the burden on the existing one which is expected to further increase during the Sallah holiday. 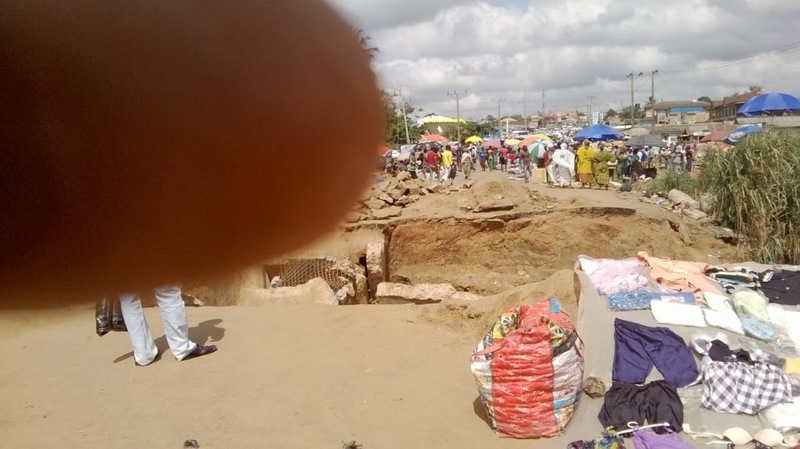 In addition to the promise made by the APC-led state government to repair the bridge, minister of state for the FCT and the highest ranking PDP member in Oyo state, Jumoke Akinjide has also promised to repair the bridge. Thus the person who does the bridge for the community may gain an edge at the 2015 polls. Although the bridge repair is a strong political gain for whoever does it first, residents around the ‘border’ are not bothered; they just want to cross the makeshift bridge and go about their daily duties.